This lovely, romantic apartment is set in the grounds of a castle, at the foot of the Montagnola Senese. 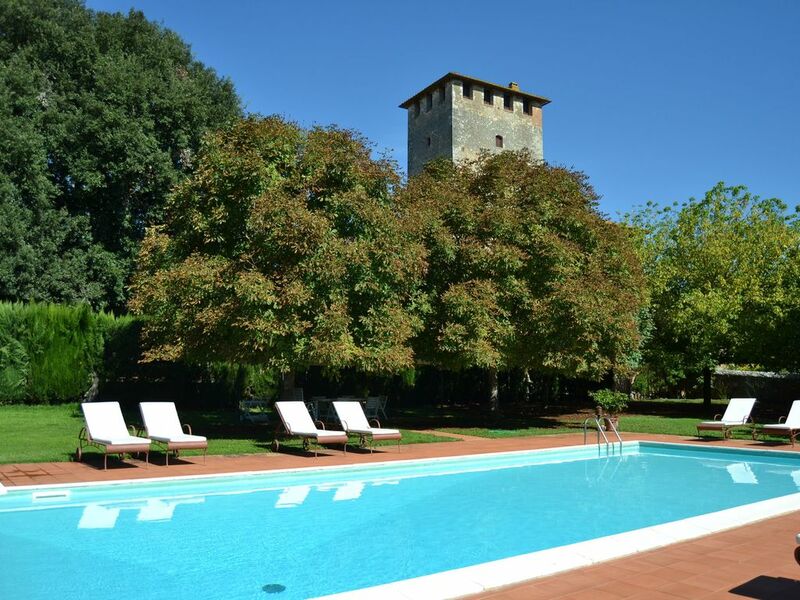 Guests may use the swimming pool in the garden of this beautiful castle close to Siena. The history of this holiday home dates back as far as 1100 AD. At that time, there was no more than just the tower with its pyramid-shaped base and the low, arched windows. It was used for the military control of this area in what used to be the Republic of Siena. The various owners have restored the building over the years and kept adapting it to the standards of the time. The complex also incorporates a few additional, small houses that were built for the labourers. The house is surrounded by vineyards and olive groves, sources of the local wine and olive oil, which are the most important agricultural products of the region. Today, we are grateful for the excellent wines in the cellar and the delicious olive oil harvested and pressed on the spot.